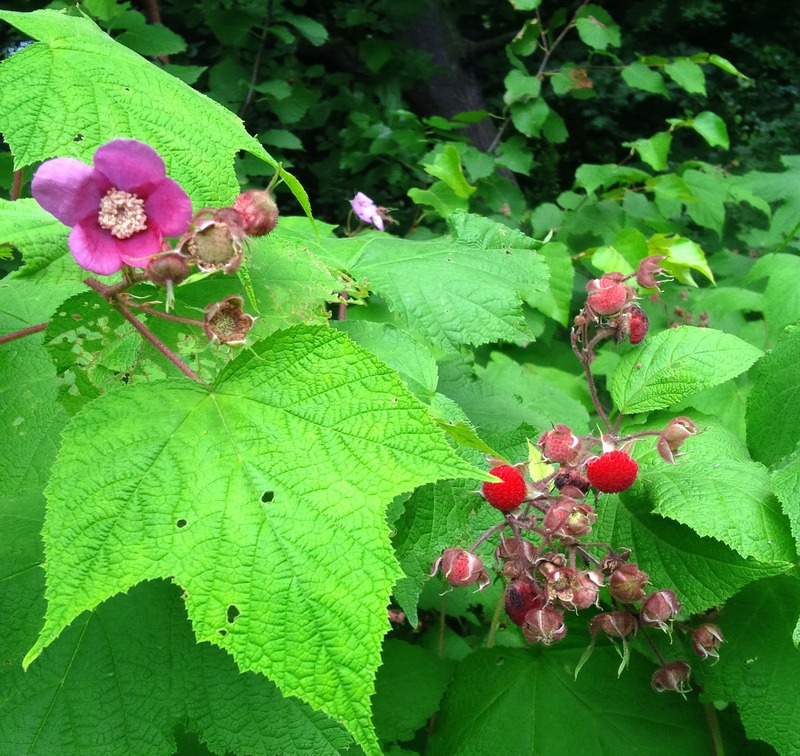 The Purple Flowering Raspberry, or Rubus odoratus, is kind of the secret raspberry. Might as well be called Rubus secretum, as no one seems to know of it. While many a forager might be out picking Red Raspberries and Blackberries, these brambles tend to go unnoticed, but it’s not for a lack of trying. The large maple-like leaves and purple rose-like flowers make this plant easy to spot, even from some distance. While most plants in this family (Rosaceae) seem to flower in the spring (including cherries, apples etc), lose their petals and then fruit in July-August (or later), this plant holds onto some of its flowers even as the fruit are available. I was obviously a bit late to this party, as you can see most of the ripe berries had already fallen to the ground by the time I got to them on this rainy day in early August. 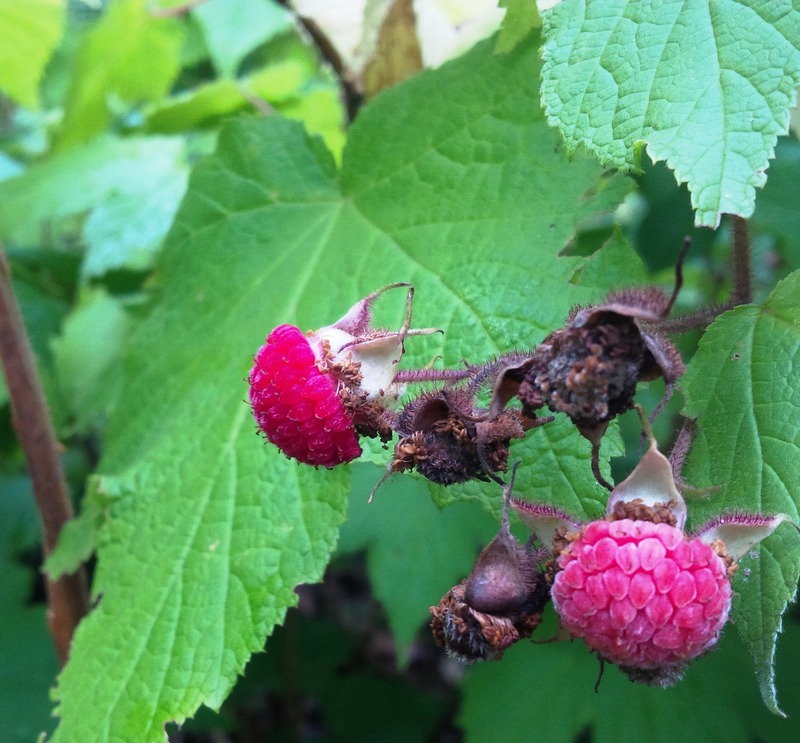 Compared to the Red Raspberry, of which you are no doubt familiar, or the Dwarf Raspberry for that matter, the fruit of this plant is a little drier and slightly sour/tart, but still quite edible and still available at the unbeatable price of free. In Southern Ontario the fruit appears in mid to late July and some can still be found even now in mid-August. Look for it along the edge of trails and woods.